Although you are more at risk of complications, that does not mean that you will have any. The vast majority of twin pregnancies end with healthy twins (and mothers). If you respond quickly when you think something is wrong, and if you regularly go for checkups, you reduce your risks even further. Unfortunately, the risk of miscarriage is greater than with a solo pregnancies. This is mainly because the risk of chromosomal abnormalities is greater in multiple births. The chance that something goes wrong after 20 weeks is twice as high as with a single pregnancy. Miscarriages are more common among identical twins and among triplets or more. Sometimes a twin pregnancy leads to a miscarriage of one of the two babies, where the other baby is born healthy. It often turns out positive for the remaining twin baby. If the miscarriage occurs early in the pregnancy, the chances of further complications for the other twin baby are small. Twins are detected at an ultrasound in the first trimester, but only one of the twins is born. The second seems to have disappeared without any signs or clear symptoms of miscarriage. Why this is happening is still unclear. Preeclampsia is high blood pressure caused by pregnancy. It occurs twice as often in twin pregnancies. 10 to 20 percent of all pregnant twin mothers have to deal with it. In the case of twin pregnancies, high blood pressure develops earlier and can be more severe. If it is not treated it can be dangerous for yourself and for your babies. At every doctor visit this is looked at. The pregnancy can be continued safely with good care. This is a serious condition that requires immediate medical care. It occurs when the placenta detaches from the uterine wall before delivery. This situation is more common in twin pregnancies than solo pregnancies. Smoking mothers and mothers who have not taken enough nutrients in also have an increased risk. Placental abruption can lead to premature birth and is responsible for one in five stillborn babies or deceased babies in late pregnancy. Fetal growth retardation can cause a premature birth or low birth weight. There is talk of when one or both babies grows slower than average. This occurs in almost half of all twin pregnancies, against 10% in solo pregnancies. This is a rare but serious complication that can occur with identical twins. It happens when one twin snatches the blood supply of the other twin. One baby gets too much blood while the other gets too little. If it is detected in time it can be treated. This is looked at in routine controls for twin pregnancies. If the birth takes place before the 37th week, this is a premature delivery. A premature delivery is the most common complication in multiple pregnancies. 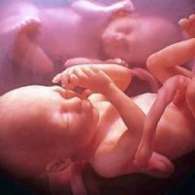 As many as half of all twin pregnancies are classified as preterm delivery, with triplets it happens 9 out of 10 times. Because an early birth entails risks, regular (short) bed rest is prescribed.